Lanning concentrates his practice in the areas of trust and estate planning and administration, including the protection of assets, the avoidance of probate, guardianship and federal transfer tax, primarily by the drafting of wills, trusts and disability agency appointments, the reconfiguration of asset ownership, and the preparation of transfer tax returns. He also specializes in commercial real estate transactions involving transfer, development, land use permitting, and financing, representing both individual and business clients, and also the trust and commercial loan departments of some of the area's major financial institutions. In addition, he has extensive experience with the issues involved in the establishment, organization, and operation of closely held real estate, business and professional entities. Lanning is Board Certified by the Board of Legal Specialization and Education of the Florida Bar in the area of Real Estate, and he has been accorded through Martindale Hubbell a peer review rating of AV preeminent, the highest rating a lawyer can receive for ethical standards and professional ability. 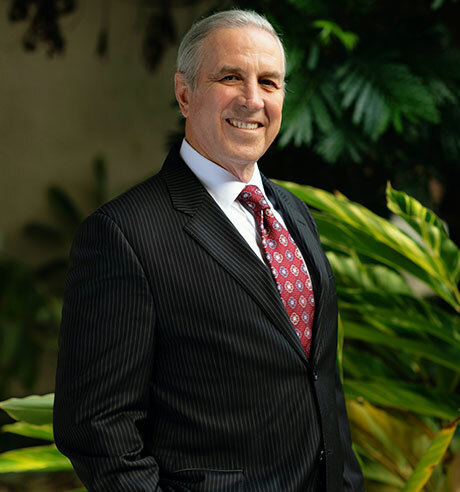 He has lived and practiced law on the Treasure Coast for more than 40 years, and he is one of the founders of the firm. He enjoys family time, tennis, beachcombing and the Florida Gators.